Towards total eradication of malaria in Oyo State, Total in Nigeria in collaboration with NNPC, the National Petroleum Investment Management Services (NAPIMS), SAPETRO, CNOOC and PETROBAS distributed 1,000 long-lasting insecticide-treated nets to residents. 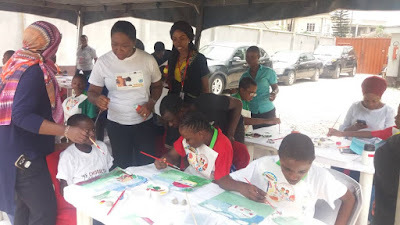 This was in line with their corporate social responsibility (CSR) and launch of Total 2018 Malaria Elimination Programme with the theme, ‘Defeat Malaria to mark this year’s World Malaria Day (WMD) ‘End Malaria for Good'. “Total is intervening because we are part of a corporate citizen and we believe we should be part of solving a world problem, malaria, being one of them. So, we are distributing 1,000 nets,” The Executive General Manager, CSR, Total, Mr. Vincent Nnamdi, said. The EGM expressed that Primary Healthcare Centre Oninyanrin was selected following their facilitators' check on the prevalence of malaria. And it was one area spotted with a very high rate of malaria cases. “The cases of malaria has reduced by 43 per cent in the state, as shown. It is still high around Ibadan; hence, over 500 people will be tested. Also, there are provisions for further treatment for people who tested positive,” he said. Now, Total’s drive is in line with the National Malaria Strategic Plan (NMSP) 2014-2020. It outlines the key technical and supporting strategies in the ongoing fight against malaria for this period of time. 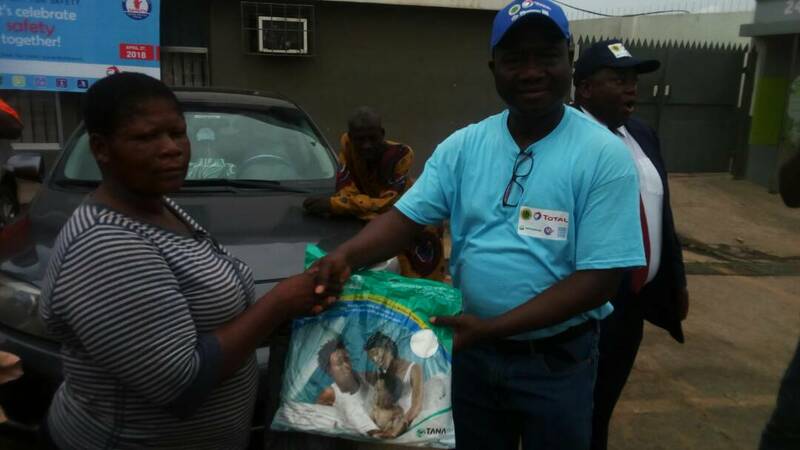 With this, Total in Nigeria continues to identify initiatives with the Roll-Back-Malaria Partnership with governments at all levels to fight malaria. 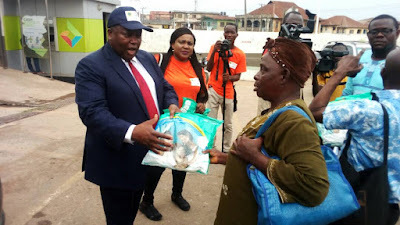 “Over the years, Total has carried out annual Malaria Elimination Awareness Campaigns on WMDs in several states such as Lagos, Enugu, Ogun, and the Federal Capital Territory. This year, the campaign will be for Oyo state,” he said. Continuing, the Engineer disclosed that Total and its partners have embarked on institutional capacity development programmes to help in the prevention, diagnosis and treatment of malaria among the vulnerable groups – women and children. According to him, Total currently has partnership with the Adamawa, Bornu, and Yobe state governments in the construction, furnishing and equipping of four Maternal and Child referral Centres (MCRCs). “And it will be replicated in all the geo-political zones of Nigeria,” he said. These campaigns and others such as TOTAL’s Healthy Living Awareness Campaigns are part of their companies’ CSR commitments aimed at positively touching lives through sustainable partnerships. These are in tandem with the United Nations Sustainable Development Goals 13 (Health/Wellbeing), and 17 (Partnerships). Notwithstanding, the Malaria Fact Sheets of the World Health Organization (WHO) showed that malaria burden is huge globally with about 90% of it in sub-Saharan Africa; hence, the TOTAL companies' collaboration. At the Malaria Elimination Programme, the Commissioner for Health, Oyo, Dr. Azeez Adeduntan, told newsmen that “This laudable support from Total will energise us to more action because it’s a call to action. He assured the companies that Oyo would henceforth stage campaigns to enlighten her people on malaria and preventive measurements. “We are willing to encourage partnership to sanitise malaria”. 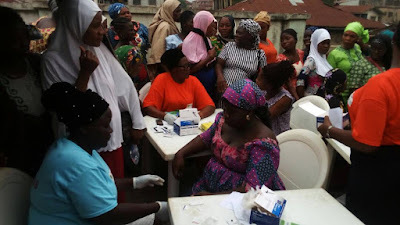 The commissioner, who was ably represented by the Director, Public Health, Dr. Taiwo Ladipo, noted that their aim was to reduce the amount of malaria parasite still in circulation through distribution of nets. Therefore, while a total of 1000 residents in the community were given nets and educated on clean environment, 500 persons were screened. There were 350 Malaria Test Kits (RDT’s), consumables and Malaria medicines available to treat those already infected, train 50 healthcare providers and distributed 10,000 IEC materials.